In the depths of winter, skin cannot help but lose its sunshine-induced glow. 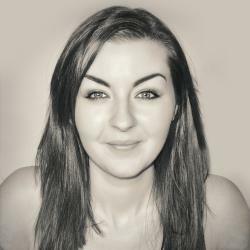 That lit from within, lightly bronzed hue that came naturally from the extra time in the great outdoors is all but completely gone by the time party season comes around, leaving the complexion somewhat lacklustre and dull. 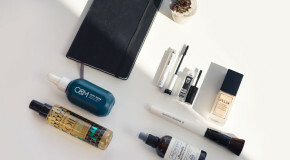 Of course you can turn to self-tanners to maintain summer’s glow year-round, but if, like me, you have the fairest of English rose complexions, you may struggle to avoid that tell-tale hue on the face. Few tanners can give me a convincingly natural warmth which will enliven my pink, cool-toned complexion in the depths of the most frigid of months. As you may be able to tell, I’m not blessed with any warmth in my colouring. And so I turn to bronzer when the season’s change. That old faithful beauty product, which promises to instantly warm the skin at a mere sweep of a brush. 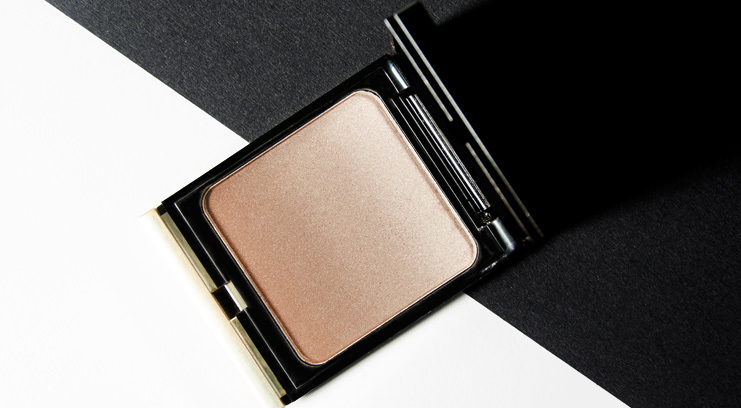 If you’re put off by the matt, flat, orange shades of the early 00’s, then let me introduce you to Kevyn Aucoin’s Celestial Bronzer. A truly luxe products even at first glance, housed in a sleek merlot and gold compact and wrapped in a pleasing velvet pouch. It glides open, to reveal an ombre palette of bronze, golden and champagne hues, mimicking Kevyn Aucoin’s original shading taupes. Don’t be put off by the shimmer, it gives a subtle highlight rather than a full-throttle smattering of glitter for a realistic, gleaming texture that gives real dewy glow. 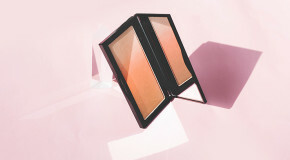 Where matt bronzers can sometimes fall short, this complexion warmer gives a hyper-real finish, lifting the complexion with dimensional colour. A brush swirled across the whole pan can be gently dusted across the highpoints of my face for an instant hit of sunlight. Or, I take the colours separately to use across the face. 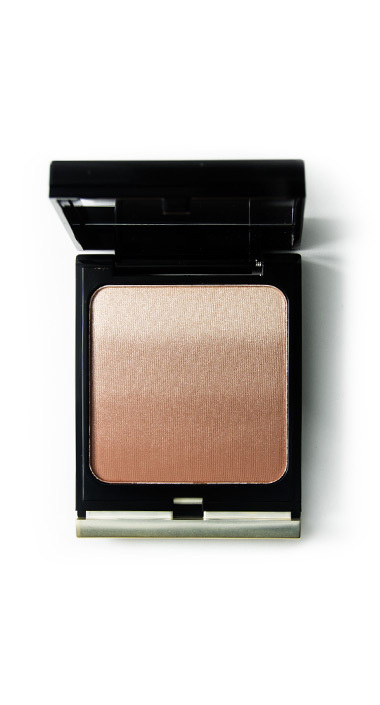 I adore the lightest champagne as a gleaming highlighter that glistens across cheekbones.